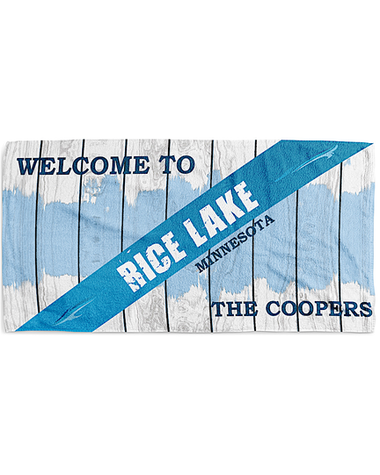 Add a splash to your house with our distressed lake house beach towel Each towel is personalized with your lake, its location and your family name. The towel measured 60" x 30" and is plush velour on one side and super absorbent cotton terry on the reverse. 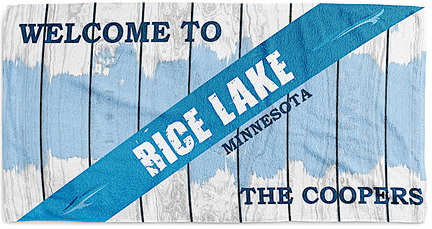 The towel is colorfast for years of heavy use on the beach boat or pier.